This is Rajani again, this time with tip and tricks ideas for cake baking. I was baking the cake above. As usual, I went from baking to patting it down to cooling to freezing. That’s when it came to me that there are some standard things I do whenever I bake a cake. And that deserves a post on its own. So here are my rules/tips/tricks/methods when it comes to cakes. Please share yours so that we can all learn. #2 : Never try a new recipe when baking for an occasion. Trust me on this one! Be it guests visiting, gifting the cake or taking an order, stick to your tried and tested recipes. 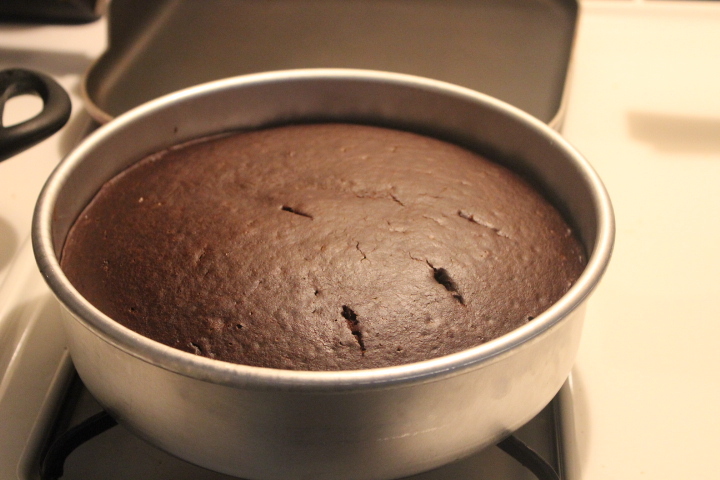 For me, it’s this recipe from Joy of Baking (It’s the same as Hershey’s with very minor changes) for chocolate cakes. For yellow cakes, I trust The America’s Test Kitchen recipe. Hot milk cakes also from the same book are quite good and reliable. #3 : If you want an egg less cake, try an egg less recipe. There are a lot of reliable egg less recipes, it’s better to bank on them than figuring out how to replace 3 eggs in a recipe. Replacing one egg is fine, but it’s not easy if you are replacing two or more. 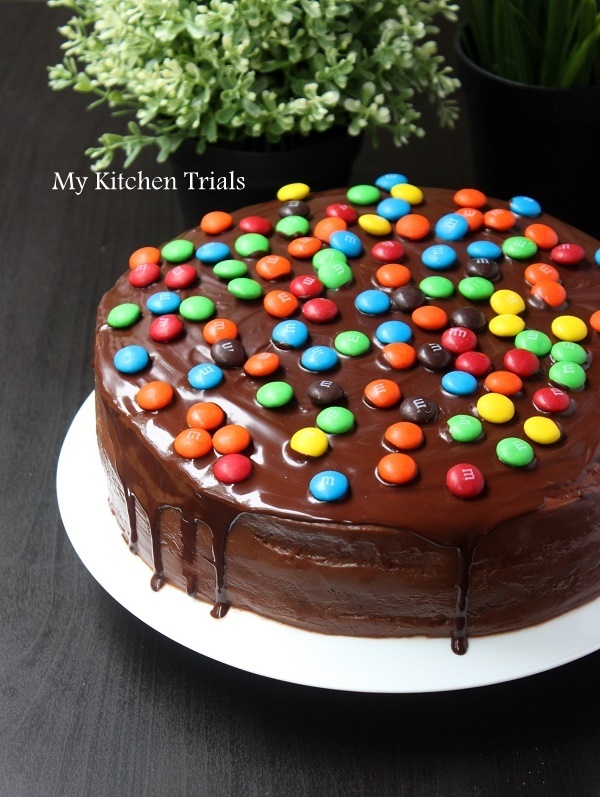 When it comes to egg less cakes, I try this chocolate cake recipe adapted from Maria’s Menu and this cake from Sharmi’s passion for vanilla cakes. 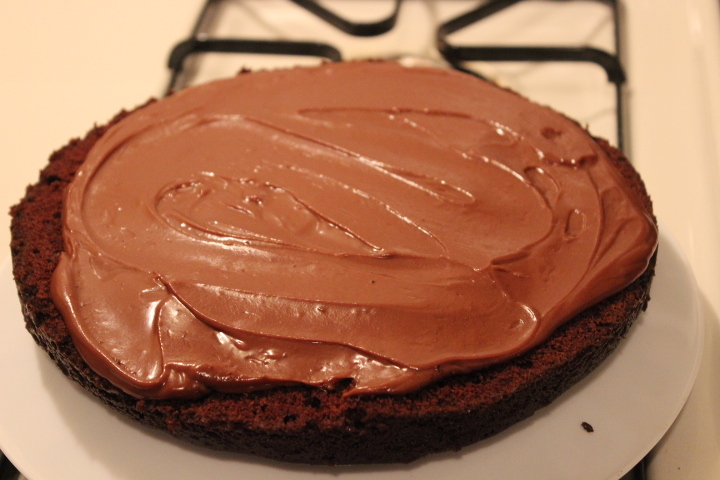 You can add 1/4 cup cocoa to the vanilla cake recipe to get an egg less chocolate cake. #4: Always grease and line your pans. Keep a bunch of pre-cut parchment paper ready for your pan size. I use oil for greasing, its way easier than butter. #5: Bake a day in advance. That way there is no pressure on the d-day and the cake develops more flavor (especially chocolate cakes with coffee in it) in the extra time. If possible, make the frosting also the day ahead. Suggestion: Don’t apologize for your cake. Your cake may have its own pitfalls, but apologizing profusely and pointing out the flaws is just going to make people focus more on the drawbacks. The minute you say that the finish is not great, they concentrate only on the finish. The cake may not have matched your expectations, but saying it yourself is going to make the receiver feel bad, as if they have been given something substandard. So, be open to reviews/feedback, but stop pointing out the minor flaws out. Be proud of your cake and concentrate on beating your own best. (I am talking about people who are not confident about their creations and feel that the cake could have been better. Not about major flaws). Now, to the tricks to get a moist cake. Follow the recipe and bake your cake. I prefer keeping the cake right out of the oven on top of a cool burner. 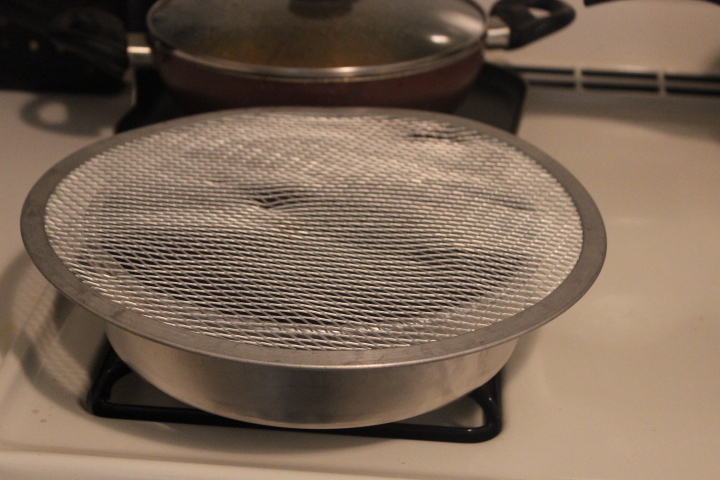 It naturally acts like a cooling rack. The cake might have a slight dome when it comes out. You can bake for a longer time at a lower temperature (extra 10 min, may be at 160C ) to get a flat top, but I gave it up after trying a couple of times and getting no great results. Place a clean towel on the cake and very very carefully, pat and press down the top, making sure that the pressure applied won’t break the cake. 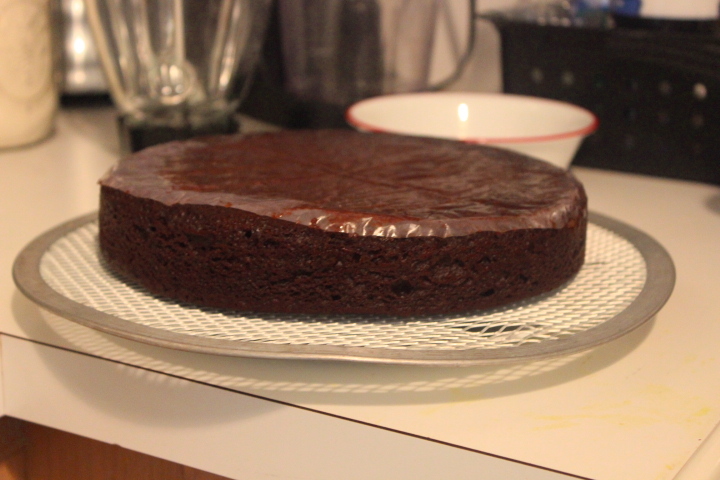 Leave the cake to cool in the pan itself on top of the burner or a wire cooling rack for at least 5 minutes. If we try to take out the cake off the pan when it’s really hot, it might break into pieces. A bit like taking idlis out of the pans when they are hot. Hence this wait time. 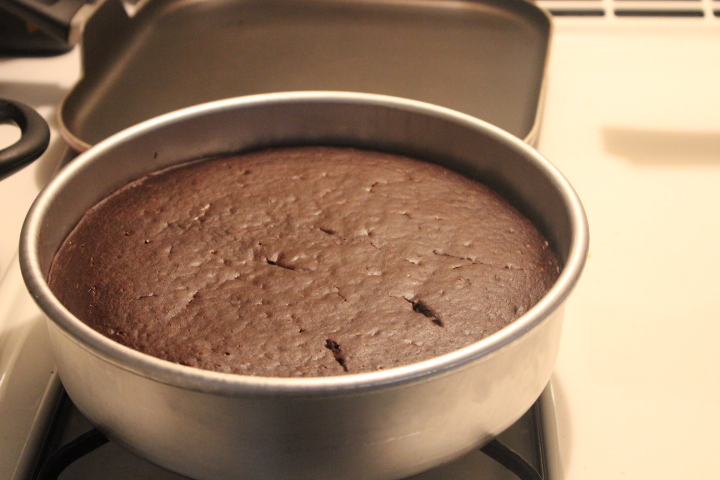 After 5 minutes, take the cake out of the pan. I usually keep a cooling rack on top of the pan and carefully turn it upside down. My wire rack doesn’t have any ‘legs’. So I keep it on top of a plate. The crumbs fall on the plate, so it’s easier for me to clean up as well. Take the pan off and peel off the wax/parchment paper. 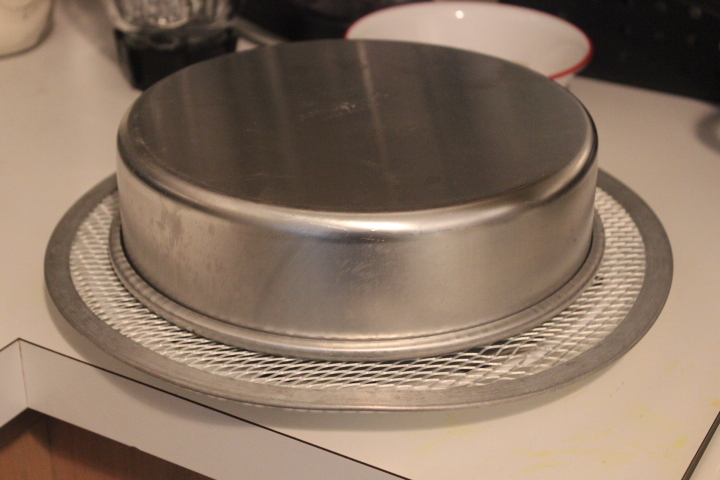 Again, I use the burner top for cooling the cake. And I prefer keeping the pan inverted on top of the cake. It prevents the cake from drying out, or so I honestly believe! 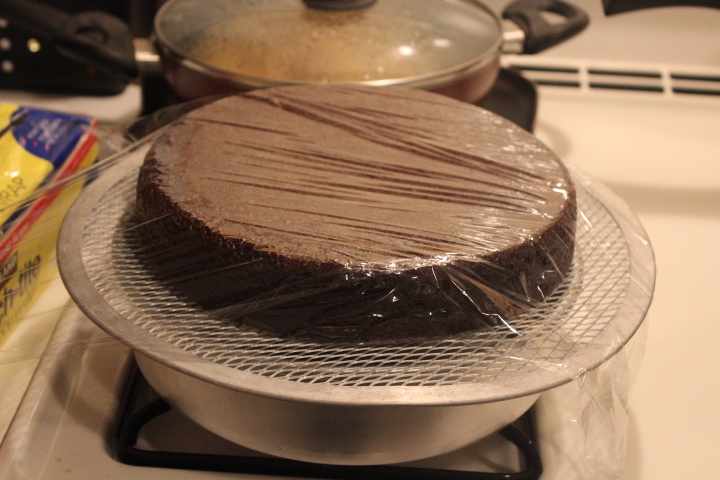 Once the cake is cooled, cling wrap it two times. You can use parchment/wax paper or aluminium foil as well, you might have to use cello tape to seal the edges. You need to keep the cake in a zip lock or plastic cover so that it doesn’t get damp. Store the covered cake overnight in the freezer. If you notice, my freezer has lines running, so I have kept the cake on top of a flat surface. Make sure you don’t keep anything else (not even another cake) on top of the cake until it’s frozen well. Most frozen cakes stay good for about 2 months. You can prepare and freeze the butter cream as well. 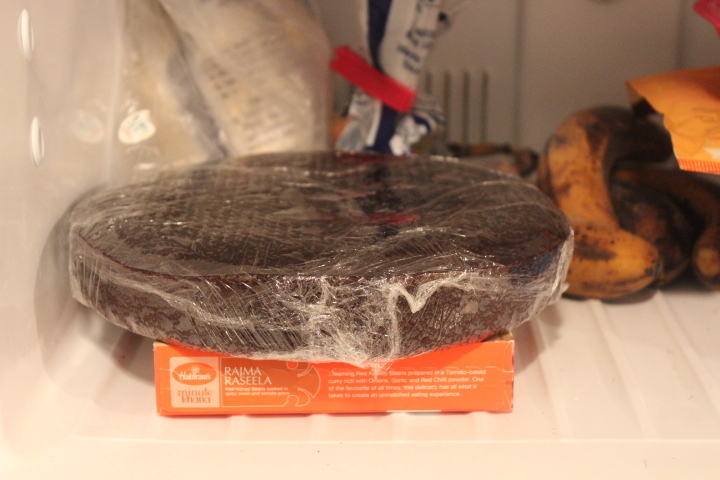 Let the cake defrost at room temp for a couple of hours (with the cling wrap on). When it’s time to decorate, decide whether the cake is moist enough to skip simple sugar syrup. It’s your call, totally. If you want a real moist cake, sprinkle some sugar syrup on the cake. If going for a layer cake, cut the cake into two using a sharp knife or a cake leveler. Fill it and frost the cake. I almost always place the bottom layer on top as it will have a flat surface. A palette knife is the best for frosting and a turn table makes the job much easier than it would be otherwise. 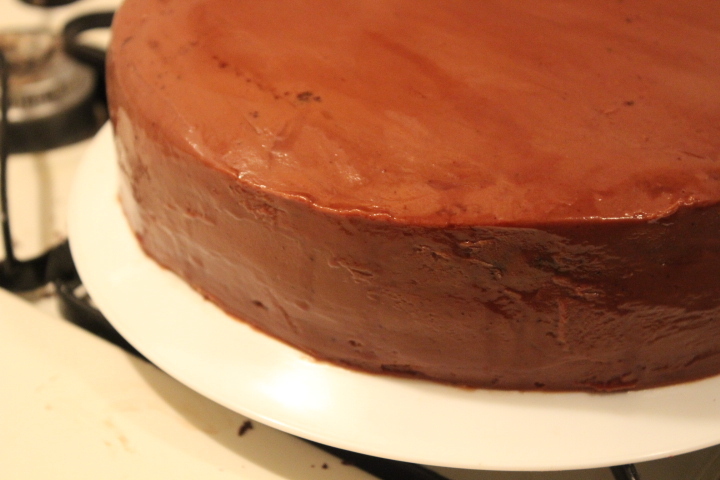 Once you have frosted the cake, dip the palette knife in hot water and run it around the cake for a smooth finish. 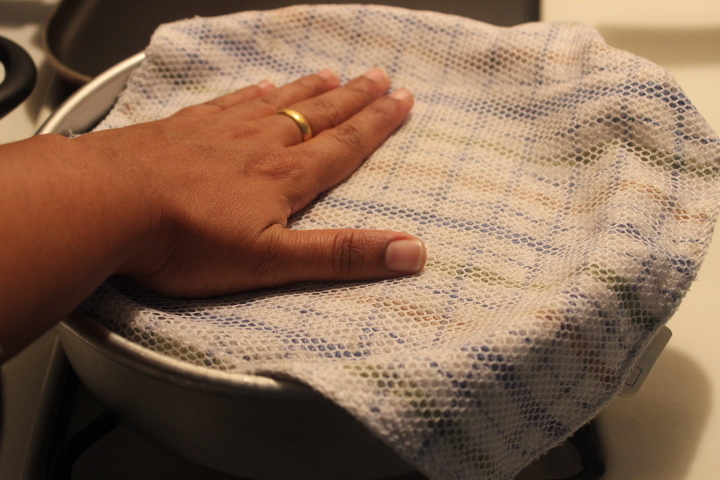 Clean the cake board with a slightly wet kitchen towel or a paper napkin. Please leave your tips and tricks when it comes to baking cakes. Excellent tips and suggestions here! bookmarking it.